According to a recent study published in Meteoritics and Planetary Science, an iron dagger buried with King Tutankhamun may have been made from a meteorite. The dagger was first discovered in 1925 by legendary archaeologist Howard Carter and his team. 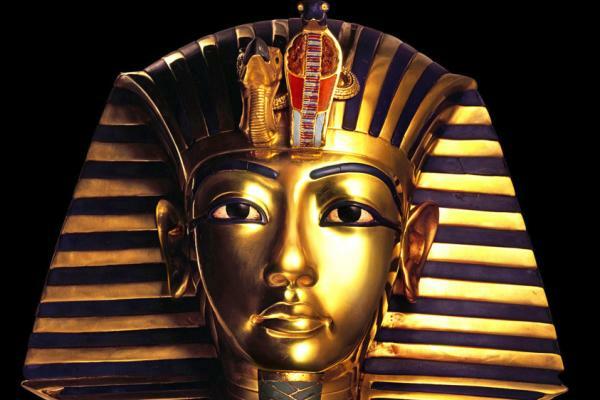 It was found wrapped around King Tut’s right thigh. Scientists have now shown with a high level of confidence that the exquisite blade was made with iron from a meteor. The findings, which were published in the journal Meteoritics & Planetary Science, overturn the results of previous tests done in the 1990s. Fascinating? Definitely. But let’s be clear about one thing: Nobody should be surprised that ancient Egyptians used meteoric iron to make daggers for kings. King Tut lived and died in the Bronze Age. At that time, humanity simply had not figured out how to make iron from the masses of iron ore that occur naturally in so many regions. To produce iron from ore, you basically need to crush up rocks and heat them in a furnace to 2,800 degrees Fahrenheit until the iron melts: a process called smelting. And then you need to come up with complex procedures to remove impurities. There were plenty of excellent iron ore deposits in ancient Egypt, but almost no evidence of smelting. There are, however, dozens of iron artifacts made from meteoric iron. In fact, the Egyptians had been working with it for almost 2,000 years before King Tut. But not surprisingly such iron was extremely rare, and more valuable than gold. So it was only found in precious ornamental, ritual and ceremonial objects like King Tut’s dagger. Meteoric iron has been used by many cultures around world, from Tibet, to the Inuit of Greenland, to the Hopewell culture of ancient North America. The difference between iron ore and iron from meteors is simply that meteoric iron is already iron, pretty much ready to be heated and formed into products. Iron from space has a much higher nickel content than the terrestrial kind. The new study says the iron used to make King Tut’s dagger is from a meteorite deposit found at an oasis called Kharga, west of Alexandria. The nickel content is a close match. The study also highlights an impressive level of iron smithing in ancient Egypt, where highly skilled blacksmiths knew how to create exquisite pieces of ironware, despite the relative lack of iron in society.